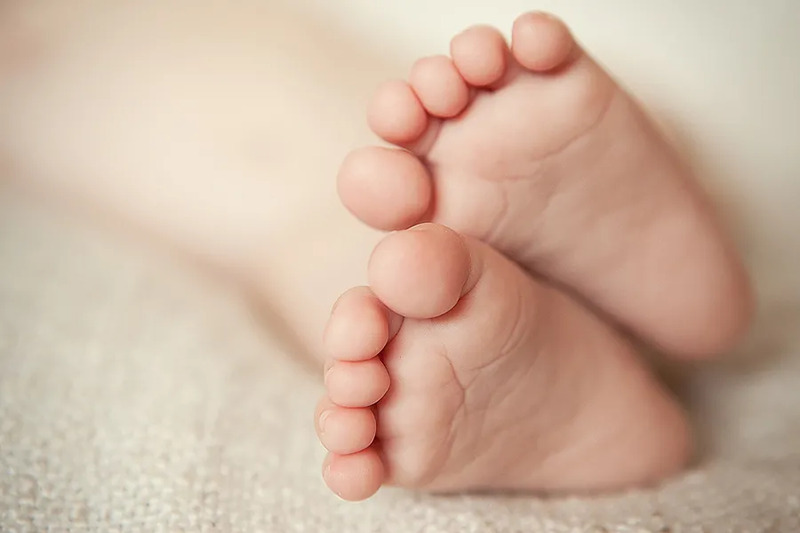 Washington D.C., Dec 17, 2018 / 02:53 pm (CNA/EWTN News).- A pro-life group dedicated to electing pro-life officials is calling on U.S. President Donald Trump and his administration to “correct” comments supportive of fetal tissue sales and research, recently made by National Institutes of Health (NIH) Director Francis Collins. At a meeting of an NIH advisory panel in Maryland on Dec. 13, Collins said that while fetal tissue sales are currently being audited by the Department of Health and Human Services (HHS) and alternatives to fetal tissue are being explored, fetal tissue “will continue to be the mainstay” of federal scientific research. “There is strong evidence that scientific benefits can come from fetal tissue research, which can be done with an ethical framework,” he added. His comments come at a time when HHS, the parent agency of NIH, has terminated contracts with groups over their use of fetal stem cell tissue, has declined new contracts with other groups over the same, is auditing the use of fetal stem cell tissue throughout the department, and is exploring alternatives to the use of fetal tissue research. For the Susan B. Anthony (SBA) List, a pro-life group that works to end abortion and elect pro-life officials, the remark drew deep concern. The comments from Collins “put him at odds with HHS and the whole Trump Administration in the audit process and begs the question of whether anything can truly change while he’s in charge at NIH,” Marjorie Dannenfelser, president of SBA List, said in a statement. “We urge HHS to correct his comments, which are dramatically out of step both with President Trump and the pro-life voters who elected him,” Dannenfelser said. “These hearts, eyes, livers and brains belong to fellow members of the human family. They are ‘harvested’ following abortions that deprive these unborn boys and girls of their right to life,” she said. She urged correction of Collins, noting that pro-life voters are looking to the administration for pro-life action. Baltimore, Md., Jun 28, 2018 / 03:22 pm (CNA/EWTN News).- The Archdiocese of Baltimore offered their prayers for the victims and first responders of a shooting at an Annapolis newspaper on Thursday afternoon. 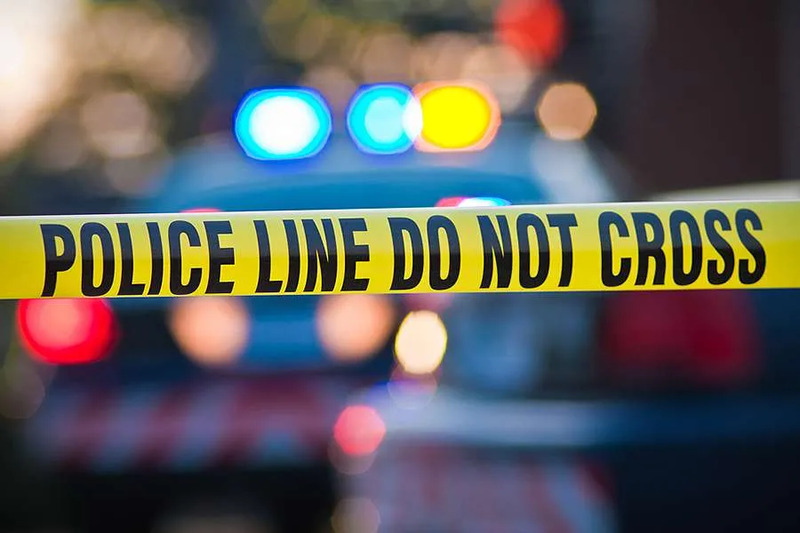 A suspect is in custody after an active shooter was reported at the Capital Gazette newspaper in Annapolis, Maryland around 2:30 p.m. Eastern time. At least five people are dead and multiple others have serious injuries, according to police reports. “We offer our prayers for the victims of today’s shooting at the offices of the Capital Gazette newspaper in Annapolis and for the first responders on the scene,” the Archdiocese of Baltimore said on Twitter. Bishops from nearby dioceses also offered their prayers. “I join people of all faiths across our community in praying for the people wounded in the attack at the @capitalgazette in Annapolis,” said Cardinal Donald Wuerl of Washington, D.C.
Maryland Governor Larry Hogan said he was praying for the community and urged people to stay away from the area. “Absolutely devastated to learn of this tragedy in Annapolis. I am in contact with County Executive Steve Schuh, and @MDSP [Maryland State Police] is on the scene assisting @AACOPD [Anne Arundel County Police Department]. Please, heed all warnings and stay away from the area. Praying for those at the scene and for our community,” Hogan said in a tweet. “There is nothing more terrifying than hearing multiple people get shot while you’re under your desk and then hear the gunman reload,” Phil Davis, a reporter at the newspaper, said on Twitter. The Capital Gazette is a local, daily newspaper and website owned by the Baltimore Sun Media Group. 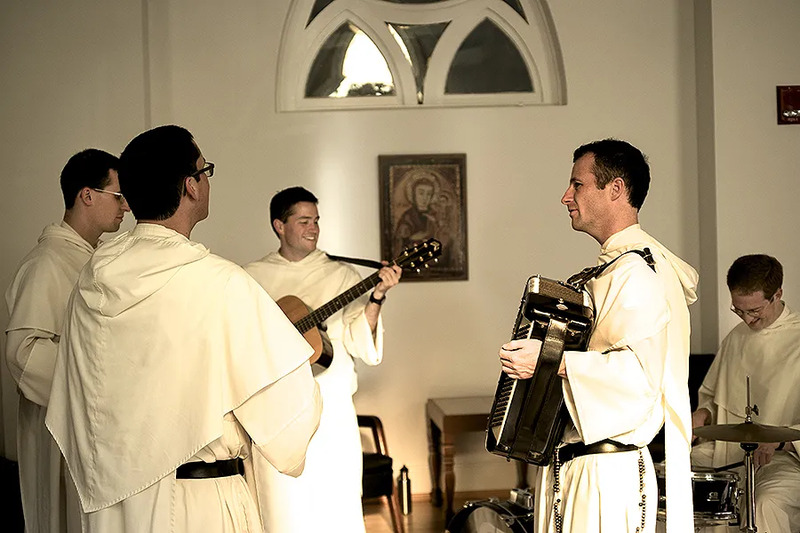 Washington D.C., Dec 12, 2017 / 12:09 pm (CNA).- Folk music is known for its foot-tapping, hand-clapping, barn-raising style – but now, a group of Dominican brothers is giving the genre a theological twist. Meet the Hillbilly Thomists, a group of Dominican brothers who have a new album coming out on Dec. 12, which they describe as an authentic human and religious experience. “Music can be sacred, but it can also be simply human – which is also sacred, just in a less explicit way with lyrics and themes,” Brother Timothy Danaher, one of the vocalists, told CNA in an interview with four of the band members. The band consists of 10 members from the Dominican House of Study and St. Dominic’s Priory in Washington D.C. It began as a lighthearted project with a focus on traditional Celtic music. “The band itself was started by a couple of friars in our province,” said Brother Jonah Teller, who sings and plays guitar in the band. It grew out of a group of brothers who would get together to play Irish tunes, he said. At first, the project was a fun excuse for the brothers to get together weekly and enjoy music. But as it grew from Irish tunes to more folk and bluegrass, the band began to perform publicly, receiving gigs for Catholics venues outside of the house. The album is eponymous – named after the band – and consists of 12 songs featuring instruments including the guitar, washboard, fiddle, banjo, and the bodhrán, an Irish drum. Eleven of the songs are covers of old-timey spirituals like “Poor Wayfaring Stranger,” “Amazing Grace,” and “St. Anne’s Reel.” The album also includes an original song, “I am Dog,” written by Brother Justin Bolger. When asked how music corresponds to evangelization, the band emphasized that humans are both spiritual and physical beings, and that their spirits are lifted by beautiful images and sounds, especially when accompanied by Scripture-based lyrics. 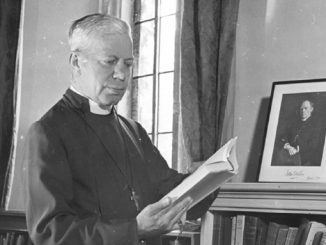 “I do think music can enhance evangelization if done right. We’re bodily beings, so beautiful images and sounds can be good for us, can help lift our minds to God,” said Brother Peter Gaustsch, who plays mandolin, piano, and guitar. The Dominican order has released several albums of choir music, but the band hopes that this project reaches hearts of its listeners in a different way. “There are so many great old songs in this tradition that speak of God’s love, his mercy, his grace, and our hope in him,” said Brother Justin Bolger, who sings and also plays piano, accordion, bass, and guitar. Among the songs on the album is “Poor Wayfaring Stranger” – an American spiritual which has been covered by artists including Johnny Cash and Emmylou Harris. The wayfarer – or traveler – is an important image in Catholic theology, one of the brothers said, and cited examples from St. Thomas Aquinas and St. Augustine. “There’s a loveliness and beauty that carries with it the longing for our heavenly home and the trials that can face us as we make our way towards the Lord, hopeful because of the promise of his love and mercy,” added Teller. Gautsch said the song depicts the struggle that is part of carrying our individual cross and learning to rely on the graces Christ provides for the journey.